Three UK eye surgeons have joined forces to launch Ophthalmic Consultants of London (OCL) to specialise in laser and lens vision correction surgery. 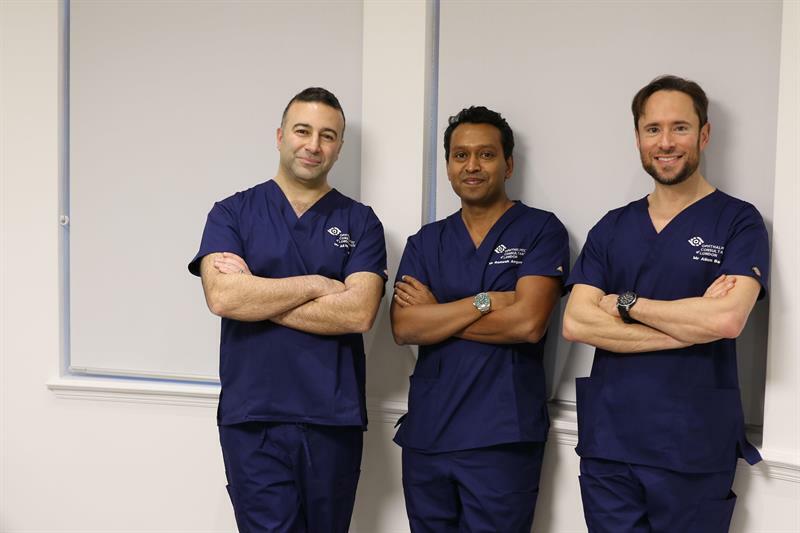 NHS consultant surgeons Ali Mearza, Allon Barsam and Romesh Angunawela have set up the private clinic to offer a range of eye-related surgical procedures including cataract surgery, LASIK and LASEK laser eye surgery and refractive lens exchange surgery. Treatment will be at the flagship clinic on New Cavendish Street in London and other locations in the city and Hertfordshire.